We can’t all be poets. But that doesn’t mean you can’t let someone else’s words speak for you when it comes to expressing your love. Once you and your significant other drop “the L bomb,” you’ll notice that it slowly starts to become more casual—from “I love you” to “luv ya!” This is normal, of course. After all, it would be a little over the top if you made each “I love you” into a dramatic confession. But if you want to express your love more appropriately, these 10 “I love you more than” quotes will make your “I love yous” feel new again. Letting your lover know that your love grows each and every day makes it feel new every time, and it shows that you appreciate all of the little things he does for you. This quote embodies the importance of celebrating anniversaries: to mark how far you’ve come and remember to look forward to the future. Okay, so this one might seem like a bit of a cop-out, but sometimes our emotions don’t make a lot of sense — This post helps explain how and why we fall in love. If you’ve been struggling to find the right words to express your love, it might just be because there aren’t any…except for this quote. 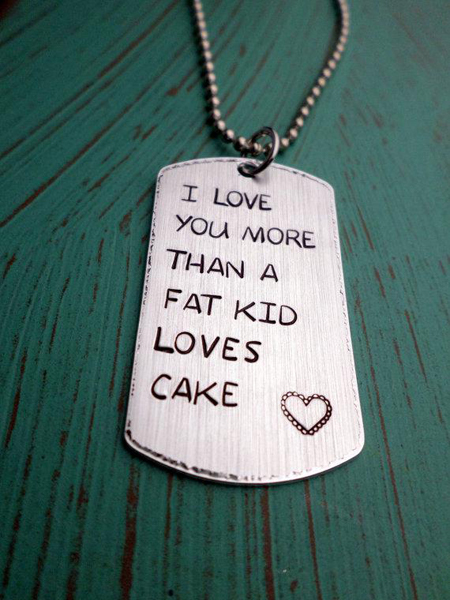 If you’re feeling more playful than lovey-dovey, this quote can show how much you care while making him smile. Not to mention, a love of food is something all guys understand intimately. If you can’t manage to get him to sit through The Notebook with you, you can at least share a bit of the romance of the film with this quote. The best part about this quote is that it attaches a beautiful image to the way that you feel, which can be represented in a work of art or a nature outing between the two of you. Besides this quote, here are some great ways to be romantic. This popular meme spread like wildfire this past Valentine’s Day, quickly becoming a viral sensation. 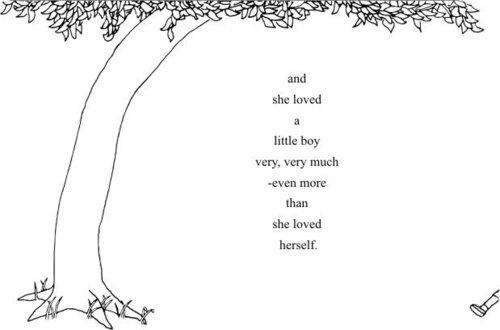 Besides being hilarious, this quote can actually say a lot about the depth of your love. 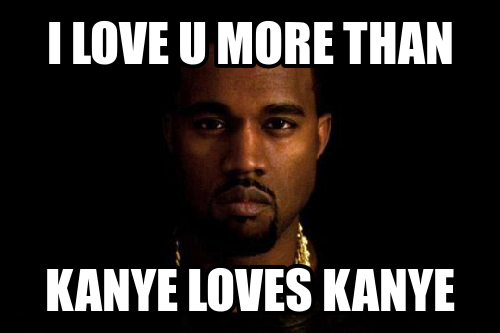 Plus, what guy doesn’t love ragging on Kanye every now and then? What is it that makes your love special? 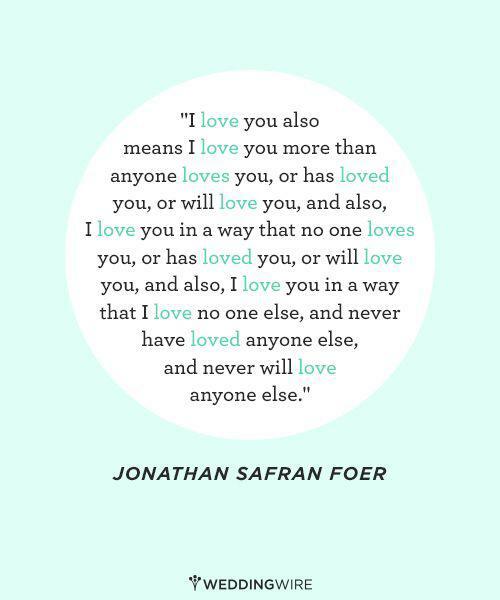 This beautiful quote by author Jonathan Safran Foer perfectly describes how unique and intimate the love between two people can be. If you’ve ever had any jealousy issues in your relationship, this quote can remind your man how special he is to you. 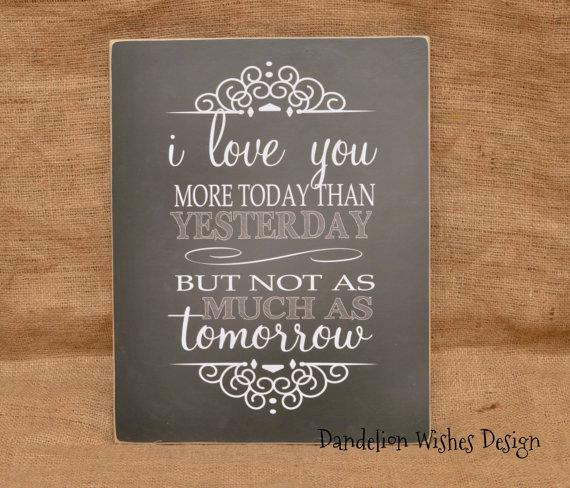 This is just one of our favorite inspiring love quotes. This quote probably means a lot more coming from your guy, but we all have that one guilty pleasure that puts us in a state of bliss. 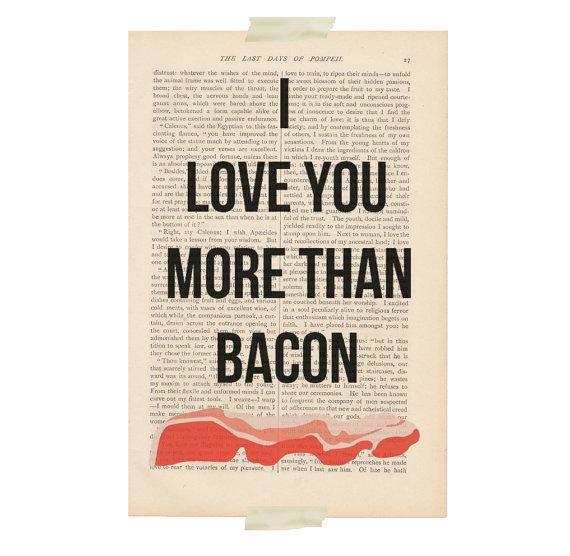 Bacon does the trick for most people, but if you’ve got another personal favorite, alter the quote to fit your feelings! This creative presentation is easy to recreate for a cute little “just because” gift for your special someone. Selflessness is the ultimate expression of love, but it’s the kind of thing that requires more showing than telling. It’s necessary in any long-distance relationship. More here. This is the kind of message you include alongside tickets to that thing he’s been wanting to go to, or an offer to do him a really big favor that would require a lot of sacrifice on your part. On the other hand, you can take a more humorous approach to this quote by adding it to your best selfie. Along the same lines of showing selflessness, motivational speaker Katherine Miracle makes a solid point in reminding couples to consider their priorities when the going gets tough. It’s easy to get carried away in a fight, and equally easy to take our loved ones for granted. But if you conceptualize your life decisions as a choice between serving yourself versus the ones you love, you’ll find that these mistakes occur much less often. Sometimes the right thing to say is simple. Instead of coming up with a long list of things you love less than your partner, or trying to find the right comparison to express your love, you can remove even the suggestion by saying simply, “I love you more.” Although it might be fun to size up your love in a playful way, try not to turn loving into a competition between you and your guy. With more casual, funny quotes like the Kanye meme, you can share it with your special someone through an email or Facebook post. But if you want to make your expression of a love a bit more special, you can present it in an equally special way. For example, you can have it printed onto a wall decal for your bedroom, or get it engraved onto a picture frame with the two of you. Pinterest is full of creative ideas for making quotes into art, but you can also personalize your presentation according to your relationship. For example, if there’s a book you both love, or one that reminds you of your relationship, you can use a page from it as the background for a collage or card. 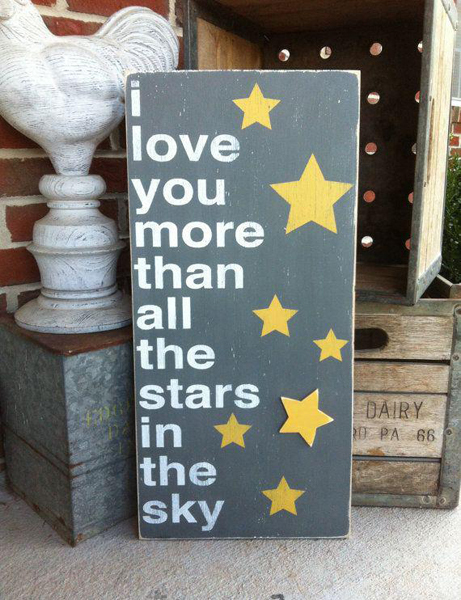 Creating something you can display makes a great gift that you can give your man as a constant reminder of how much he means to you.